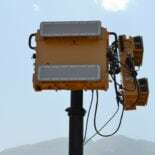 The AUDS Radar is a modular non-rotating, electronic-scanning (e-scan) system using power efficient PESA (passive electronically scanned array) and FMCW (frequency modulated continuous wave) technologies to provide reliable, small and slow UAS detection even in complex environments. 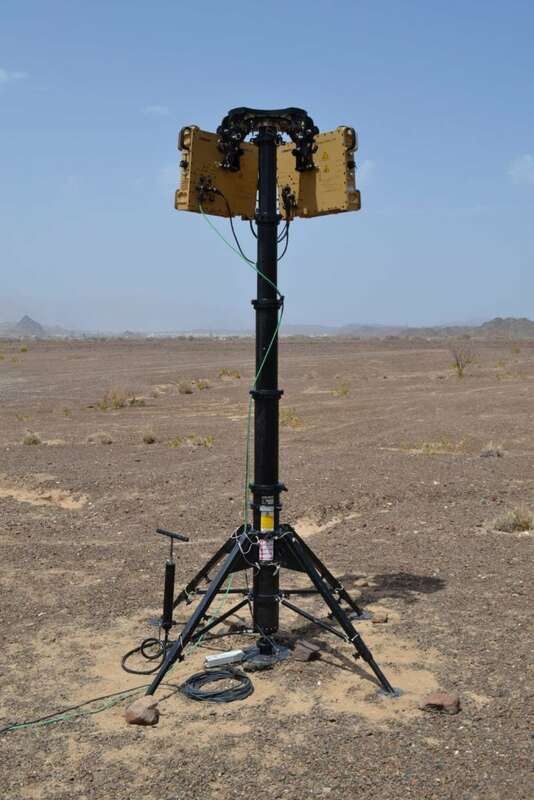 The AUDS Radar is optimised for the detection of small drones carrying video cameras, wireless communication systems, narcotics, explosives and other nefarious payloads. The radars use ‘D3’ (Digital Drone Detection) technology that enables them to extract the tiny radar reflections from modern plastic bodied drones even when they are flying close to the ground or near buildings (where clutter reflections are relatively large). 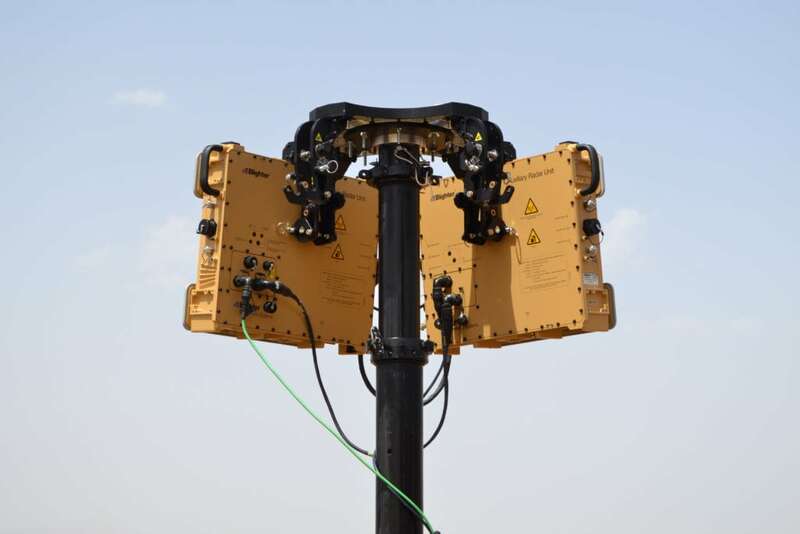 The radar’s Ku-band operating frequency is ideally suited to detecting the small structures used to construct compact drones such as the control wires, battery pack, motor and wireless communications system. 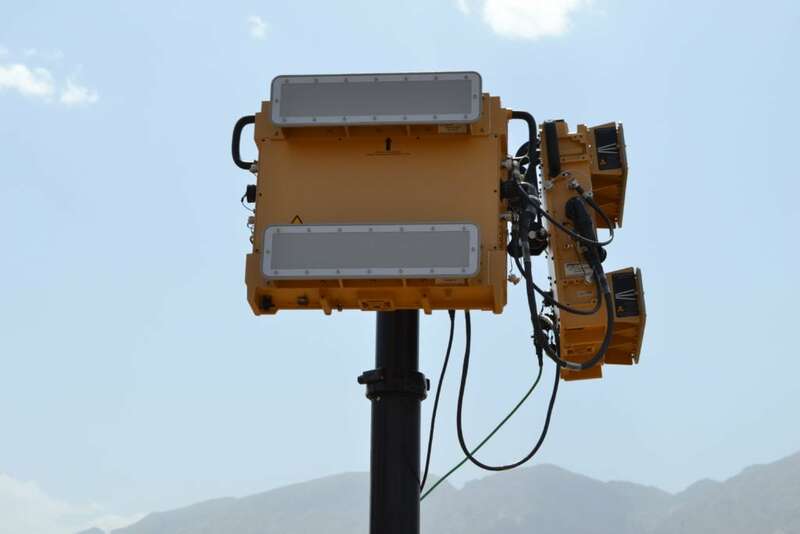 Configuration options provide radar coverage of 180° or 360° in azimuth. Vertical elevation coverage is configurable, with options for 10°/15° (M10S Antennas) or 20°/30° (W20S Antennas). The radar is modular with no component weighing more than 30 kg (66 lb.). 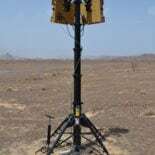 The AUDS Radar can detect a miniature UAV at a range of up to 3.6 km. Drone speeds ranging from hover-drift to over 400 km/h are all detected. Target tracking software and extensive zone filtering facilities allow drones to be detected while minimising the risk of nuisance alarms from birds. 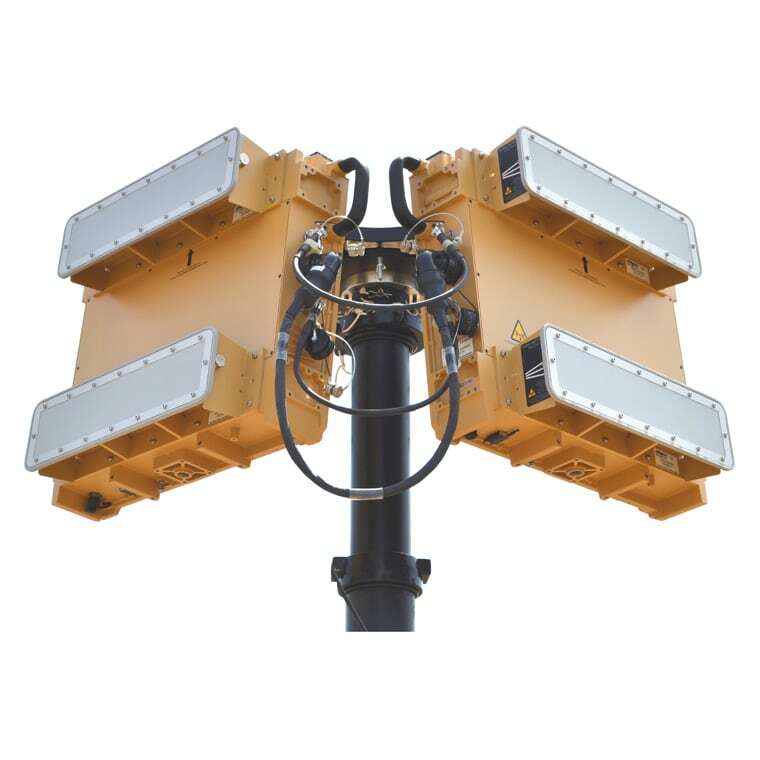 AUDS radars are offered in two standard configurations. 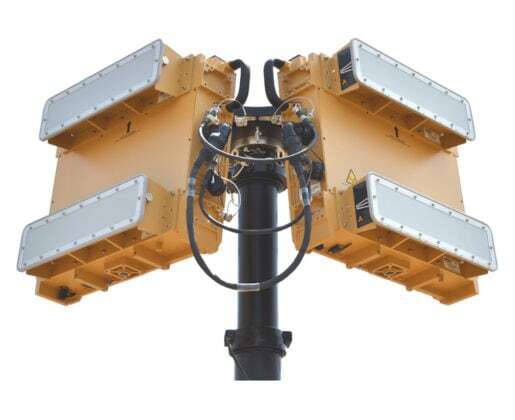 The AUDS A422 radar covers 180° and for 360° surveillance a dual-A422 back-to-back configuration is used. 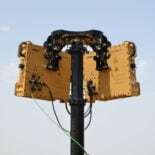 Vertical elevation coverage is selected by use of either W20S antennas (20° standard or 30° extended coverage) or the M10S antennas (10° standard or 15° extended coverage). An optional BRTS (Blighter Radar Tilting System) allows the A400 radar to provide increased volumetric air coverage combined with drone altitude indication.